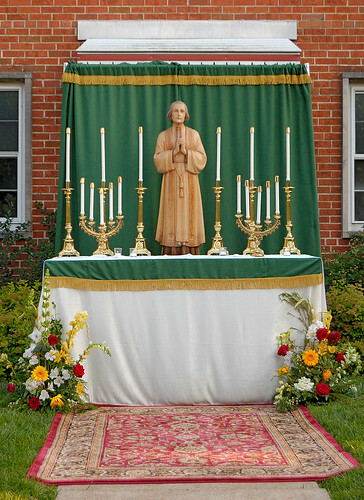 IN THE NEW calendar, this is the feast day of Saint John Vianney. Here is an old posting: Pastoral Plan of Saint John Vianney. 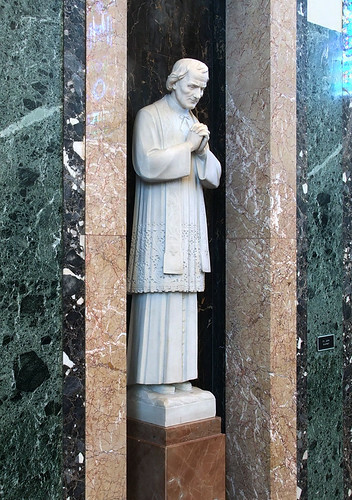 Statue of Saint John Vianney at the Cathedral of Saint Raymond Nonnatus, in Joliet, Illinois. Altar, at this year's Corpus Christi procession at the Cathedral Basilica of Saint Louis. I love all these photos of outside altars. It is common practice, bc I have never seen it before.